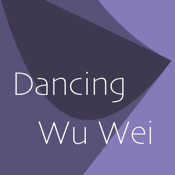 Based on the movements of Tai Chi and Qi Gong, this app's contemplative music, and its slowly unfolding animated graphics and colors, provide an ambient audiovisual environment suitable for meditation, relaxation, and for the simple appreciation of its continually novel geometrical patterns. - Double-tap to save your favorite patterns as screenshots to your photo roll. - Shake to initiate a new random starting point for the graphics and colors. - Choose a favorite background color and let it remain constant. - Music volume control (can be set to zero if you prefer to enjoy the graphics in silence).